"As part of course correction, undertaken as part of the inferences drawn from the first phase of the scheme where the claims were not attended to by listed hospitals due to tardy payment schedules, the anomalies were weeded out by the help of technique and weekly reviews and a server was established at the state level. "The intervention and initiative saw miraculous results and of the claims made by listed hospitals, as many as 74 percent were settled within 30 days," said an official. A total of 1,486 hospitals - 823 private and 663 government - have been listed so far under the scheme. The scheme, kick started to benefit the BPL families as per the 2002 census, provides a smart card at a basic fee of Rs.30 which is used to meet all administrative expenses incurred in the scheme. The field key officer (FKO) is named for the completion of the nomination process in which a family, with considered unit of five, is listed on the smart card. Smart card holding families are entitled to a sum of Rs.30,000 for one year and treatment for a total of 1,090 pre decided diseases/packages is available through indoor patient facilities. The scheme also entails giving of food and Rs.100 per day for transport on discharge from hospital subject to a maximum of Rs.1,000 in a year. 75 percent of the annual premium on the scheme is borne by the central government and the remaining 25 per cent by the state government The hitherto used 32 kb card has been replaced by a 64 kb card so that the beneficiaries can avail the benefits of both the state and central schemes. 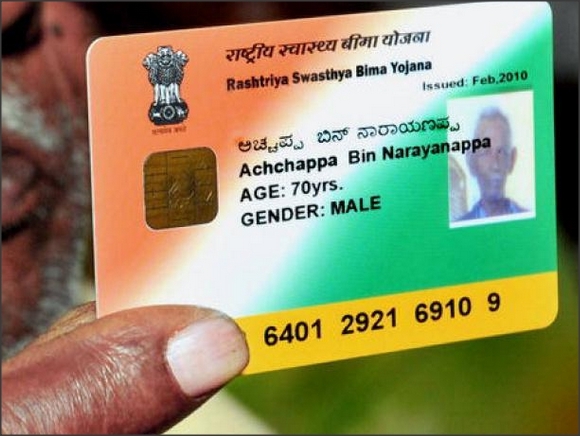 The cost of a smart card is separately borne by the central government. Till March 31, 2013, officials pointed out, 48 lakh smart cards have been made in Uttar Pradesh and nomination process is underway in 21 districts, by the end of which 58 lakh beneficiary families are likely to be assimilated in the scheme.